The best discount Fuel Pump OEM Parts. 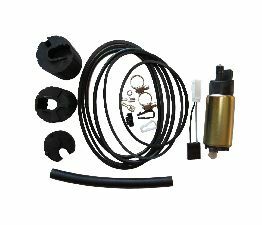 Our inventory is always being updated, searh for Fuel Pump parts for the following makes. Your fuel pump will be either attached to your fuel tank or inside of it, depending on your vehicle. A fuel pump can be at risk if you run your vehicle on low fuel often. Also, running out of gas is very likely to cause damage to your fuel pump. When should you replace your Fuel Pump? Doing a routine inspection on your vehicle can prevent many issues or at least tell you that something needs replacing. Inspecting your fuel pump and relay will tell you if its faulty. Once you are driving your vehicle at a higher speed and you notice the engine is struggling or sputtering. Heat accumulates easily in your engine and at a high rate. Vehicle won't turn on or start.